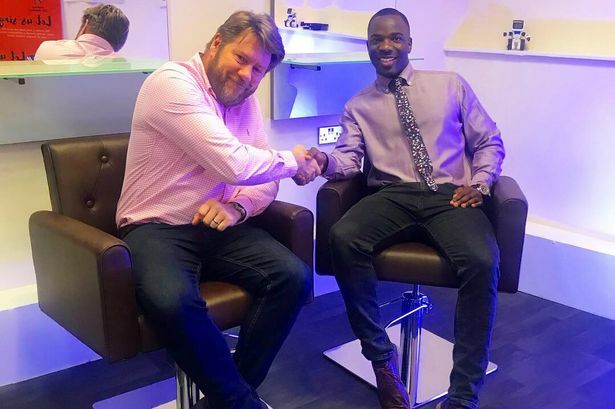 Last year, Mr Daulphin was recognised for his achievements by being named one of the city&apos;s 30 most inspiring young people in BirminghamLive&apos;s 30 Under 30 campaign which has just published details of its 2019 cohort. Mr Daulphin said: "This facility is for everybody but we are especially focusing on disengaged pupils who might be on the cusp of being kicked out of school. "We&apos;ve already had some from pupil referral units which have expressed an interest in visiting the salon. "Some of these kids can&apos;t focus in school five days a week but this is something which is of interest and could potentially keep them in school. "I approached Aston & Fincher about coming on board and managing director Oliver Fincher loved the idea of helping young people in the community so donated equipment such as chairs and mirrors. "We have one half of the room for hair and barber skills and the other is multimedia with a recording studio so students can learn how to make their own music. We would love to get a corporate backer for the multimedia room." Mr Daulphin said: "We work with just under 50 schools now across Birmingham, Oxford and London and a lot of the students are from disengaged backgrounds such as single-parent families or foster care - everything that you could imagine. "But across the schools we work with, you have the whole spectrum such as children from what we would call a normal background to those from a difficult background." He added: "We&apos;ve had interest from an electrician and also bricklaying so we could go into all different areas eventually. "We still have some room to expand even more so it&apos;s just a case of seeing where these opportunities could arise. "And one thing I want to do every couple of months in the new salon is invite in the homeless so they can get their hair washed. "It&apos;s definitely a prototype that could be rolled out to other cities to benefit other communities and this is just the start of it."